After finishing One Ringy Dingy, I had to get started on Two Ringy Dingies – but this time using the 16″ Golden Wedding Ring collection. The first ring is made and I love it. There is something about these colours that is reminding me of something – but I don’t know what that is! I keep trying to figure out just what that something might be. Any thoughts?? The back of the first ring, after pressing and grading the seams. The 16″ ring seems enormous after making the 12″ size. Remember the blue fabrics I was determined to try to see if they’d work together? Well, I tried. And they don’t. I had a small scrap of the gorgeous Wedgwood blue print that I used to print just enough of the little kites to try out a test block using the smallest of the Inklingo collections for Le Grand Desert. And this is not the effect I wanted. So my version of Le Grand Desert is going on the back burner for now, until I find just the right almost solid blue to work with that print. As I was sewing the blue block together, I had an idea that involved – of course – some pink. So out came some pinks and I made a couple of pink pieced blocks, using the same shapes but in the second largest of the Le Grand Desert collections. There’s quite a difference in size between the two sizes of the collections. It presses like a dream. I have yet to grade the seams but am not too worried about that, as this is another project that is going on the back burner. Me putting a pink project on the back burner? Unheard of! But there’s a reason. I’ve been distracted by this! 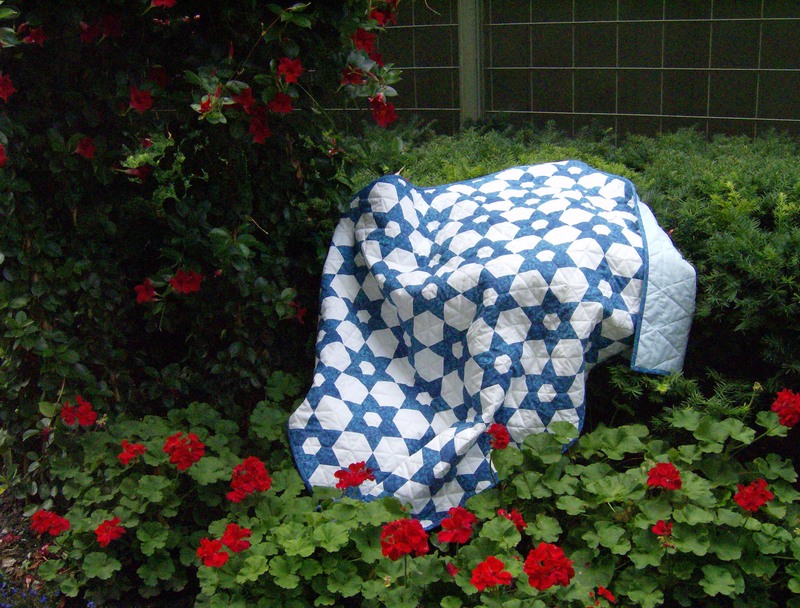 When I got Millefiori Quilts 3, I was taken by the Can Can quilt but didn’t anticipate making it. Then on the weekend an Inklingo Can Can collection was released – and well, I’m sunk. I’m not making mine scrappy at all but in a very controlled set of colours. Stay tuned and watch to see what else gets added to this mix! This first 10-point star went together oh, so easily – much easier than I anticipated. The back. I am grading and pressing the seams as I go. I’m going to try to keep working on Two Ringy Dingies, maybe on alternate weeks while I work on Can Can. Maybe. Who knows! All I know is Can Can is full of all sorts of fun – loads of continuous piecing and the effects, depending on colour and value placement, are seemingly endless in variety if the illustrations posted on the Inklingo Facebook page are anything to go by! Over a month ago this went missing. And for days I searched, checking under furniture, looking in project boxes, you name it. But it was nowhere to be found. I was lost without it – I tried all my other thimbles but that was an epic fail. Now that I’m used to piecing using the ring thimble I felt like I was all thumbs trying to piece any other way! I knew that it was likely that I had left the thimble within paw’s reach and that Baxter had found it. Sure enough, it appears that’s what happened. On the weekend, something fell on the floor and when I went to grab it, I noticed something that looked suspiciously like my thimble right there beside the end table where I have looked over and over and over again since it disappeared. It has no kitty teeth marks in it, for which I’m thankful, and appears none the worse for wear. Oh, how I wish I knew where he had hidden it all these weeks! Because, of course, after searching for about a week I gave in and ordered a new one. Which would have, in normal circumstances, have already arrived but thanks to a postal strike has yet to arrive. So now I have my old one back and a new one on the way which will be great insurance if I ever do lose it to an inquisitive cat again! The dry eyes issue is slowly getting better – if I limit the amount I stare at the computer, phone or tablet and if I remember to blink, even when cutting fabric. When cutting the pieces for the Two Ringy Dingies top my eyes were getting dry even doing that. That was when I realized I had gotten into the habit of not blinking anywhere near often enough. For now, though, the drops for dry eyes are definitely necessary. The leaves are all gone from the trees now and we’re well into the grey and overcast days of November and December. But yesterday the sun was out for a while and Baxter was taking advantage of it. De : Quilt Obsession Envoyé le :mardi 20 novembre 2018 12:06 À : maria.helle59@gmail.com Objet :[New post] Big Ring & More! Merci! And unfortunately, that’s about as far as my spotty high school French education will let me respond in French. 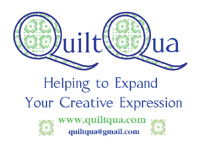 When I began quilting I never would have dreamt I’d be making some of the designs I make now, so I hope you find the same happens for you! I’ve never seen a thimble like yours. I’d love to see how you use it. Where did you buy your new one? I love your blocks! i would like to know where one can order this thimble also. I got it through Amazon. It comes from Japan so does take a while to arrive, but is worth the wait. I ordered the ring thimble from Amazon. It comes from Japan and takes a little while to arrive, but it does arrive and is definitely worth waiting for! I’ll post a video link of Yoko Saito piecing using the ring thimble as that’s how I learned about the thimble and then watched it a few times when I was getting used to using it. I’m so glad you found the thimble! But I agree that it will be great to have 2 of them when your new one arrives. Love the new Can Can block! Can’t wait to see more. I am now in the habit of making sure the thimble is out of paw’s reach as I don’t want to go through that again! Maybe Baxter hid the thimble in his tunnel or his house! glad you found it, though. The CanCan block is gorgeous! I just can’t can’t get it right now, too many that I have yet to try! Too little time, isn’t that always the problem! I looked in his house and the tunnel a few times – he has some other hiding spot that I haven’t figured out yet! The Can Can design is fabulous – it’s impossible for me to resist! The colours, maybe something royal, with the magenta? and a golden yellow? Love the new colours, there will always be something that takes your eye.So good to be online again., even if it drops off sometimes. We move in on Friday 7th, and the first truck arrives on Monday 10th. I figured out what that reminded me of and will do a post about it in a few days. It makes me laugh now that I’ve figured it out! I hope your moving in is smooth as can be and you’re set up with your sewing room and settled in quickly. 😍 wonderful blocks ,the ten point block is gorgeous! Thank you! I’m surprised at just how much I’m enjoying making those stars. I’m with Baxter. Soak up every last ray of sunshine. It has been cold, but sunny here for some time. But everything is supposed to change for the wet and wintery on Thursday. The puzzling colors: the Canadian flag? We’re definitely having an odd start to wintery weather – and I’m not complaining. We go from chilly days to days that seem more like fall with highs almost in the 50s! I’ll take this as long as it lasts. Once you get used to the ring thimble, you’ll love it! I still can’t get over how much faster I piece and how small my stitches are using it. 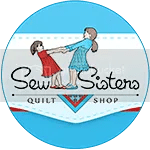 You have the best of both worlds being a hybrid Inklingo quilter – I just can’t get confident enough using my sewing machine but, that said, I really do love the peacefulness of hand piecing.